I have recently become the proud owner of a Hedgehog Hospital - well, ok so it's a shed but not just any old shed! It is able to house spikey patients as well as all I need to care for them. Before that I took up space in the house!! I look forward to being part of this forum, and if the website is anything to go by it will grow and be very good! Re: Hello - I'm Trish! Well, I can only say a big 'Thank you!' 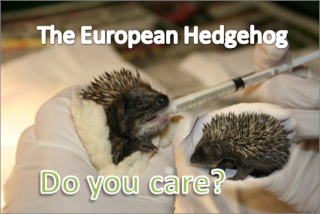 to you for what you are doing for the Hedgehogs. Many people only have a shed, so do I really. You should be very proud of youself. This is the time of year that is vital for Hedgehogs, which I'm sure you know. So this forum and website should help educate people about Hedgehogs. I too would have to agree with Trish, this is a nice forum and I love the website!